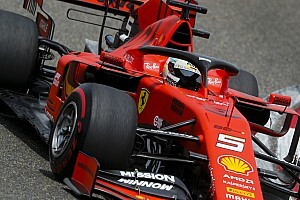 For the second year in a row the Australian Grand Prix was won by Ferrari on a race strategy twist and a strong opportunistic drive by Sebastian Vettel. But whereas Mercedes' Lewis Hamilton lost the race in 2017 thanks to an earlier than ideal pit stop and Vettel's ability to extend the first stint to take track position, this year the Virtual Safety Car intervened, which was the worst case scenario for Mercedes in the strategy that they had adopted. Even then they would have been able to cope with the VSC, had the maths they were working to on Hamliton's gap to Vettel, been correct. Here we will drill down into how that played out and look at whether Red Bull's decision to start both cars on the supersoft tyres paid off. Melbourne is one of the hardest tracks on which to overtake as well as one of the toughest on fuel consumption at 307km in total. This tends to point teams towards making just one stop, as retaining track position is vital here. Practice showed that it was possible do the race on a single stop, starting on the ultra soft tyres for around 18-20 laps and switching to the softs to the end at 58 laps. A safety car or Virtual Safety Car is always welcome for those who are tight in fuel consumption and if it falls at the right moment, can open the door to a team that has not yet pitted. This happened a few times down the years and is always in the minds of the strategists. It's one of the reasons why Red Bull went with the decision to race on supersoft tyres. Knowing that they could not beat Mercedes and Ferrari on pure performance, they would be on the third row of the grid - Ricciardo also had a three place penalty - so with a gap back to the next fastest cars opening in the race, they had nothing to lose by adopting this tactic, which could put them in the right place if they happen to be on track when a Safety Car or VSC is deployed when the leaders have pitted. It worked like this for Ricciardo and would have put Verstappen in contention for a podium had he not spun early in the race. It was slightly disappointing that the new Pirelli tyres were not more marginal between one stop and two stops, as had been their target. However, there will be races, such as Bahrain in two weeks, where the drivers will need two stops. Hamilton and Mercedes had a 0.3-0.4s/lap inherent pace advantage over the Ferraris. So after Hamilton won the start and got into control of the race, Ferrari's only play was to take different approaches with their two cars car so that Hamilton physically could only cover one of them. Ferrari pulled the trigger, pitting Kimi Raikkonen on Lap 18, the earliest he could safely do that and make the finish on the soft tyres. Mercedes had to decide whether to cover Raikkonen's stop or to stay out and cover Vettel. 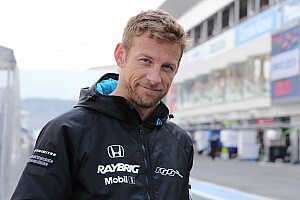 Later in the championship, they might have covered the title contender, if they were in a tight championship fight, but here their sole objective was to win the first race of the season. Of course, if they couldn't win, Mercedes would have preferred the other Ferrari to win the race, the one less likely to fight for the title. But by covering Raikkonen they left themselves vulnerable only to one scenario, which was that a VSC or Safety Car would come out during the laps when Vettel stayed out to build a tyre offset to Hamilton, which was the only tactic he could adopt. That turned out to be a seven-lap period and with problems frequently occurring in the past, with cars stopping after the first pit stops of the season, it was well worth a gamble. 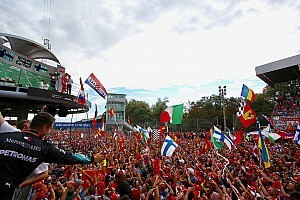 It was the same tactic Ricciardo was adopting as well as Fernando Alonso further down the field. Hamilton was not helped by the fact that he was fighting the Ferraris on his own, as Valtteri Bottas had taken himself out of contention by crashing in qualifying and so was down the field. Race Strategy planning involves a complex series of 'what ifs' around scenarios that might arise in the race and for that you need reliable data. One of those is what effect the Virtual Safety Car will have on the time it takes to make a pit stop. They had a problem a few years ago in Monaco when Lewis Hamilton was leading from Nico Rosberg and they believed it was possible to make an extra stop under the Safety Car only to find that he came out behind Rosberg and Vettel. Their number of what constituted a 'safe' gap didn't take into account that there is no true GPS in Monaco, so the gaps between cars are hard to measure over the last few kilometers of the track. 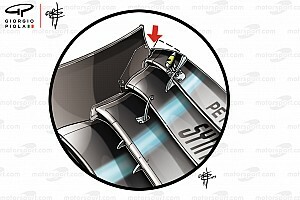 This one in Australia was down to a wrong lap time in the mechanism used to calculated losses under the VSC. It's a difference of 1.8 seconds in this case, but it was the difference between Hamilton being ahead when Vettel emerged from the pits after his stop under the VSC and behind. Stopping under the VSC is advantageous as you lose less time relative to the cars still on track, around half as much in fact. After his stop, Hamilton was balancing the pace, not pushing too much too early in the stint on the soft tyres, Mercedes working to what they believed was a 'safe' gap to Vettel. This was in their hands and, had they had the correct number in their strategy model, they would have pushed more in those seven laps to have Vettel inside the window for that gap and would have won the race. There was only a lap and a half after Hamilton's stop when he was truly outside the safe gap to Vettel and from then on, he was in what Mercedes believed was the safe gap. This will require some work in the factory in the operations room to review the way that the reference lap times are consolidated, to avoid this mistake happening again. Red Bull are famously aggressive in race strategy and when they are in the role of challenger, rather than the team to beat, they will always try things to see if they can get a better outcome that the models suggest. With a big performance gap worth over a second back to the next fastest cars on the grid, they knew that they could afford to try something different in the race without much apparent downside risk of losing track position. So they sent both cars out to qualify on super soft tyres, the only team to do so. Vettel admitted after qualifying that Ferrari had also looked at that strategy and decided against it. That's because there are some risks involved; one is that you lose start line grip and arguably one of the reasons why Verstappen lost position to Magnussen into Turn 1 is down to that. Then there is the question of pace in the first stint, because what you are doing is offsetting yourself against the other leaders, who are pulling a gap to you the whole of the first stint as they are faster cars on a faster tyre. The tyres are hyper sensitive to temperature; they work on a knife edge of performance relative to track temperature. Mercedes' dominant pole position was partly down to getting a couple of extra degrees of temperature into the tyres before Hamilton started his final run (plus another tenth of a second from an engine mode). On Friday in practice the temperature was 45 degrees, on Sunday it was 41. The supersoft was a better tyre than the ultrasoft on Friday. Red Bull's gamble was a hedge against the track being warmer in the race than it was, or the other scenario, where the ultrasoft grains in the colder conditions, which could also have happened. And finally, it was a hedge against a VSC or Safety Car after the leaders had pitted. 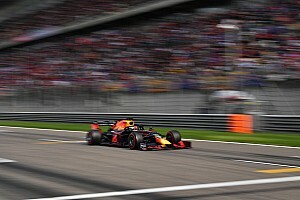 Only the final one came off, for Ricciardo, while Verstappen was unable to capitalize after his spin and even lost out to a determined Fernando Alonso, who had stayed out long enough to capitalize on the VSC in the same way as Ricciardo. He managed to hold Verstappen behind him to the flag for a very satisfying start to the season for McLaren. Plotting each lap of each car against a zero reference point lap, which is designed to show the gaps between the cars. It's a good indicator of relative performance.